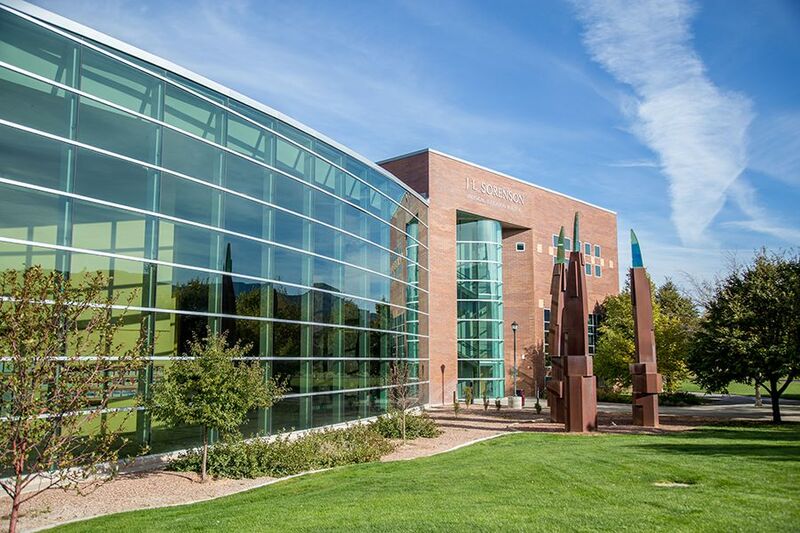 Southern Utah University’s campus offers a serene and peaceful backdrop to purposeful study and academic exploration. The 130-acre, tree-covered landscape is punctuated by an architectural blend of modern and historic buildings, 1.3 acres of flower beds, and a public art display that weaves campus together in story and metaphor. A safe, residential campus allows students to create lifelong friendships in conjunction with their academic endeavors. 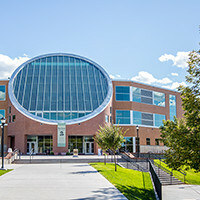 In July 2016, the Beverley Taylor Sorenson Center for the Arts was dedicated, completing the largest comprehensive construction project to date on SUU's campus. 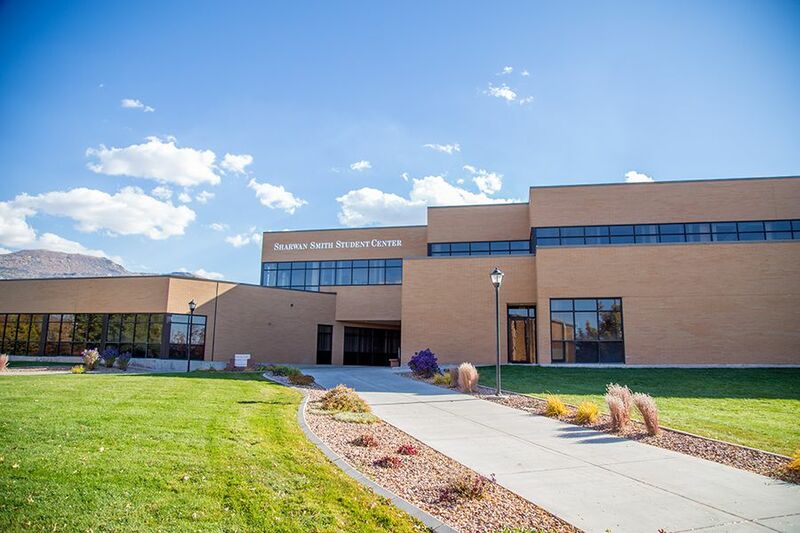 The $38 million arts complex incorporates visual arts, live theatre and dynamic arts education on SUU's campus, offering a cultural destination for region. 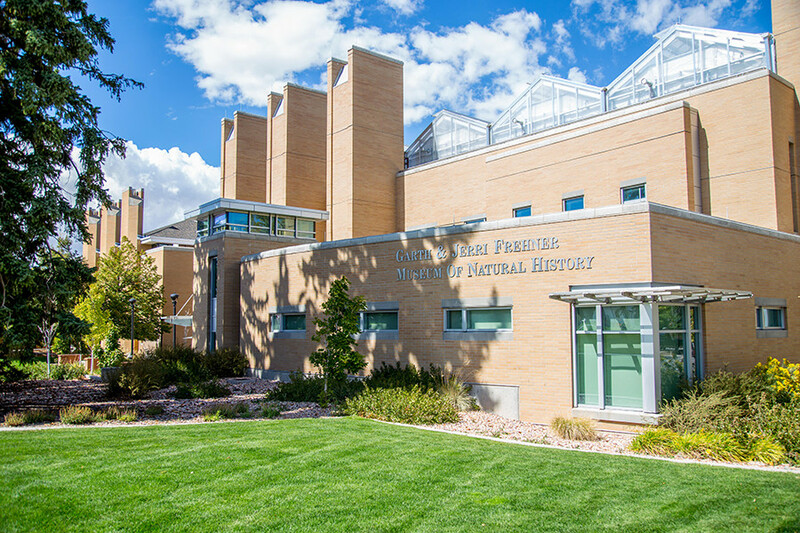 The Center houses the Southern Utah Museum of Art (SUMA) and the Utah Shakespeare Festival. The R. Haze Hunter Conference Center, originally dedicated in the 1920's and once known as the 'New Gymnasium' was built to house the Physical Education Department and contained a women's gymnasium, classrooms and offices. It has since been remodeled and now contains several beautiful conference rooms and a large banquet hall known as The Great Hall. 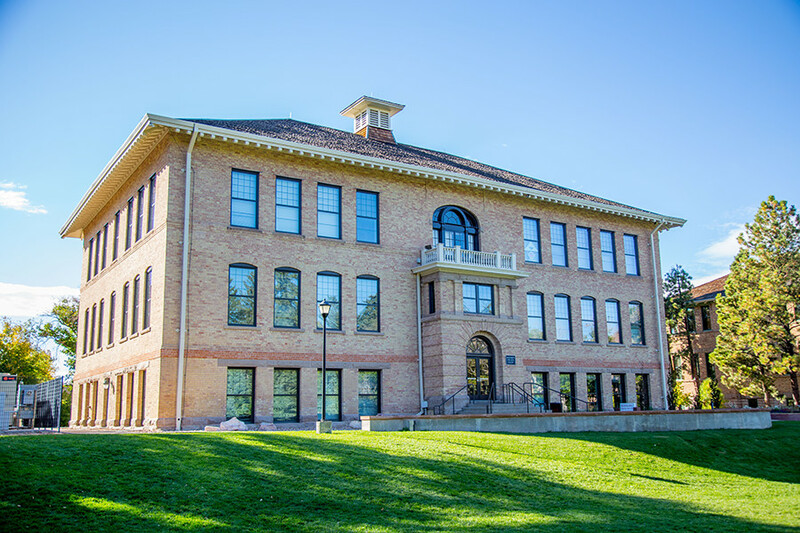 Inside this hall there is a two-story stained glass window with SUU's motto: 'Learning Lives Forever' included. 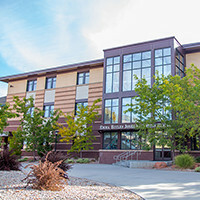 The Graduate & Online School, located in this building, is involved in distance learning classes, EDNET, concurrent enrollment, and other classes offered for credit such as EMT classes, yoga, sign language and computer workshops. 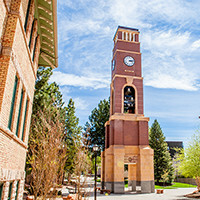 Dedicated on March 14, 2008, this 76-foot bell tower was made possible by an endowment from Carter Enterprises and Cal and Gay Carter. The Carillon houses 25 bronze bells that ring on the hour and boast a repertoire of 100 songs. Each bell was cast in The Netherlands by the Royal Bell Foundry Petit & Frisen with the largest weighing 1,397 pounds, and the smallest 40 pounds. 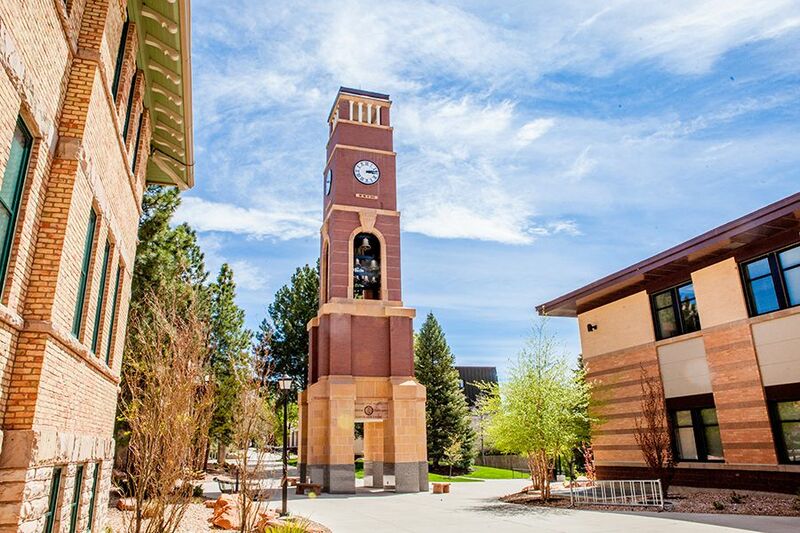 When a student begins their education at SUU, it is tradition to walk beneath the Carillon heading east. Each year at graduation, the formal processional line walks beneath the tower to the west. 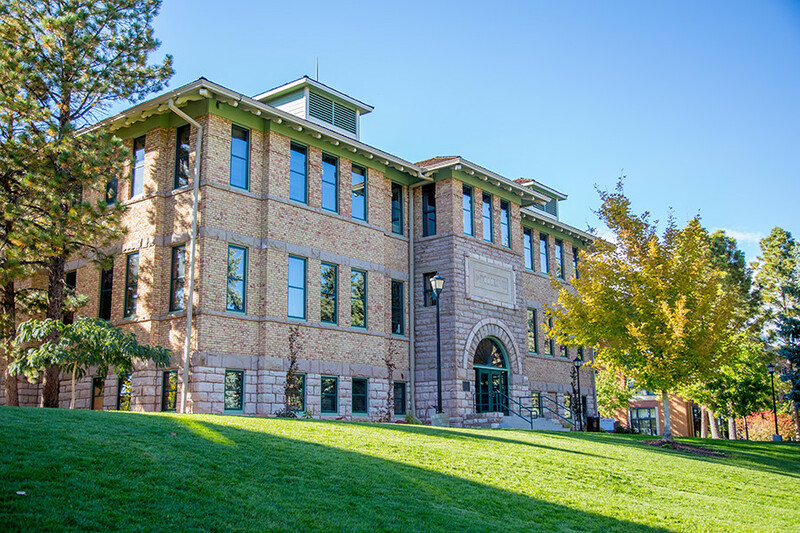 Old Main, finished in 1898, was SUU's first building. 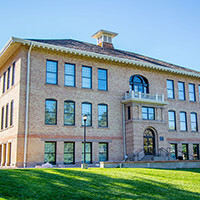 SUU was founded in 1897 as the Branch Normal School. The building was built with materials, money, and labor donated by the 1,500 citizens of Cedar City. Many citizens mortgaged their homes and farms to help build the first building of this school. Old Main now houses the College of Education, which has the largest enrollment on campus. 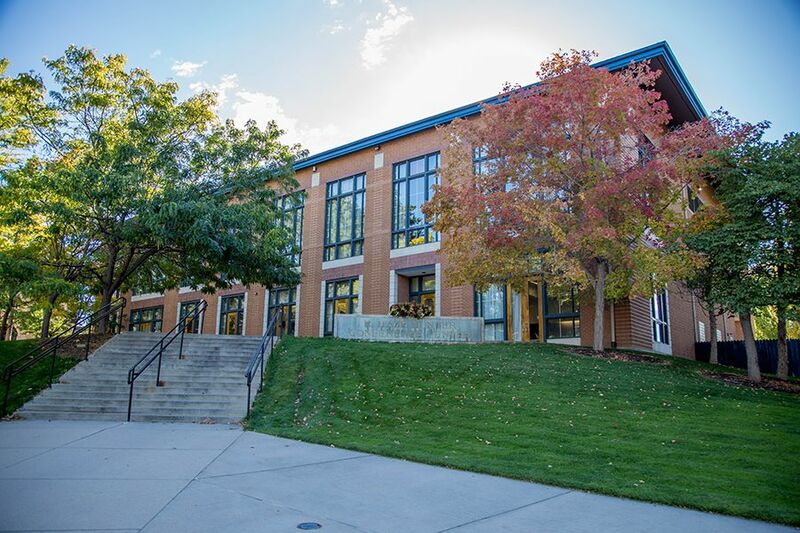 SUU offers three majors in education--secondary, elementary and special, as well as a Masters of Education. In 2000, 99 percent of the education majors were placed into jobs or grad school. 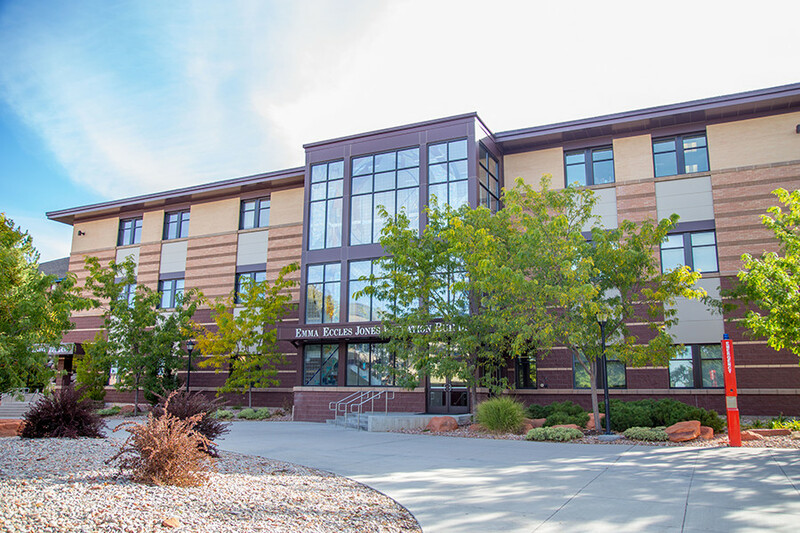 In 2007 the construction of the Emma Eccles Jones Teacher Education Building was completed and the Beverley Taylor Sorenson College of Education and Human Development moved to their new home. Previously housed for more than 100 years in Old Main, the new Education Building now features a colorful stained glass mural for it’s front façade, created by artist Jack Archibald. An open interior foyer extends from level two through level three and up to skylight windows on the roof. The 36,731 square foot building contains 14 classrooms and 2 computer labs, each equipped with state-of-the art technological equipment and hands-on learning facilities. The Braithwaite Liberal Arts Center was the second building built for the school. It sits aside Old Main, the first structure completed on campus. 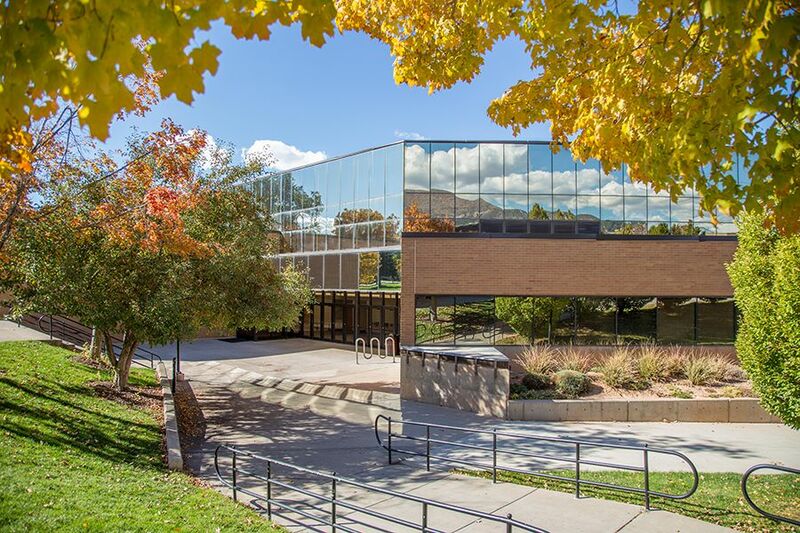 This building consists of a Fine Arts Gallery which showcases not only SUU students' art work but also artists from around the globe. This gallery is located in the basement. 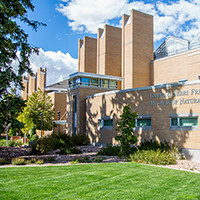 The English program is also housed in the Braithwaite Center. The second floor has a writing lab that provides computers and tutor assistance for writing students. The Science Center was completed in 1993. 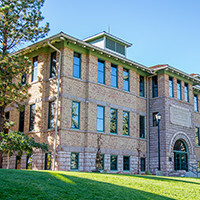 Some of the departments located in the Science Building include: Geology, Physics, Biology, Agriculture, Botany, Computer Science, Chemistry, Engineering and Math. The largest classroom in the building holds 87 students. Also contained in the Science Building is a cadaver lab and a computer/math lab which provides free math tutoring. In the student lounge on the first floor there is a mural, which depicts all of the sciences. A greenhouse connects the Science Center with the Life Sciences Building. 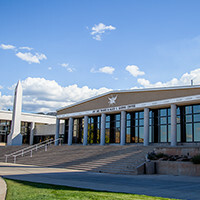 The Jay Dee and Alice C. Harris Center is the centerpiece of the Coliseum complex at SUU. A multi-purpose facility, the building houses the gymnastics center, weight room and the university’s athletics offices. 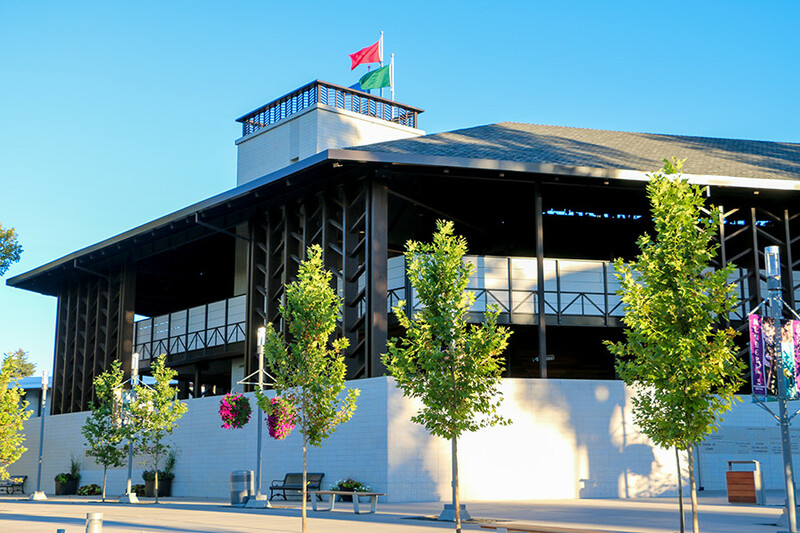 The building was constructed in three phases, the final portion reaching completion in 1990. 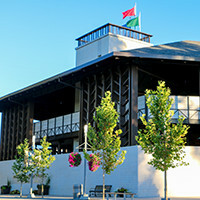 The Harris Pavilion sits at the south end of the university’s football stadium, overlooking the playing field and track. Modeled in Grecian style, its roof rests on 26 columns. Steel trusses were taken from the War Memorial Field House, which formerly stood where the Sharwan Smith Student Center now stands. 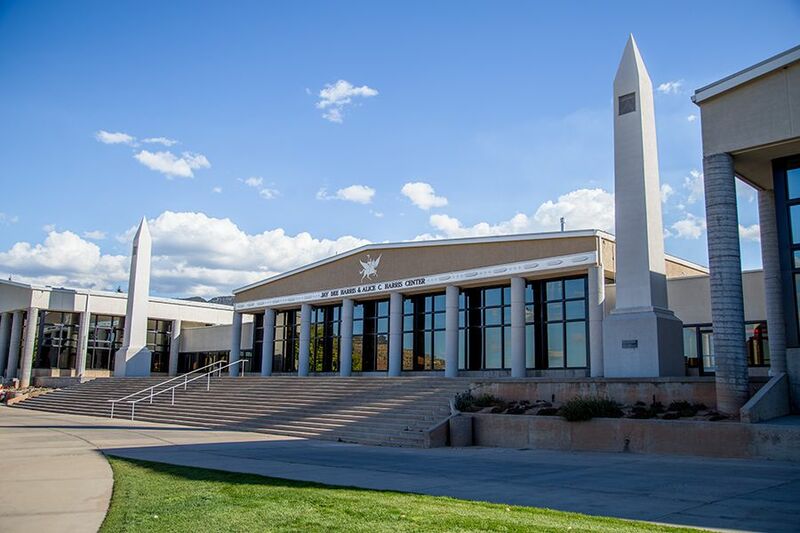 Two large obelisks rise on the building’s north side, where the Utah Summer Games caldron is located. In 2002, the caldron burned with the Olympic Flame and was dedicated as an Olympic Legacy Monument, honoring past, present and future athletes of the Utah Summer Games. 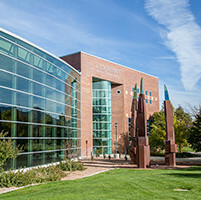 The Sharwan Smith Student Center, completed in 1997, is named after a former SUU student and leader. Sharwan Smith was the Student Body Activities Vice-President and an exemplary graduate of SUU who was killed in an automobile accident in 1995. Her statue and story on a few of her accomplishments is found in the Rotunda of the Student Center. The J.L. 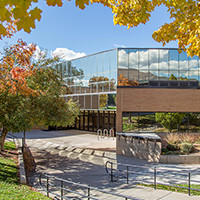 Sorenson Physical Education Building was dedicated in March of 2001 and is the newest building on campus. 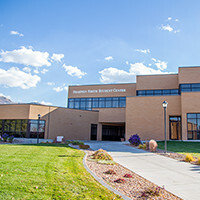 This building features 5 racquetball courts, a suspended indoor track, 3 full-size basketball courts (which can be used as volleyball courts as well), outdoor tennis courts, a wrestling room, an aerobics/dance room, a full size weight and fitness room, and an Olympic size swimming pool, the only one of its kind in southern Utah. The PE department is housed in this building. This building also features several classrooms, with network and electrical ports available at each seat. The Gerald R. Sherratt Library opened its doors on March 16, 1996. The library has four levels available for students to use, with ample space available for studying, collaborative work, and research. The first, second, and third levels have group study rooms with computers large screen monitors. Students can check out materials at the circulation desk on the first level, along with accessing electronic books and journals online. Along with housing Special Collections, the Garden Level also has a waterfall viewing area with ancient and modern alphabets and Southern Utah brands etched into the wall. Regular school hours for the library are Mon-Thur. 7-Midnight, Fri 7-7, Sat 11-7, Sun 2-10. The Centrum was built not only for athletics, but for academics as well. 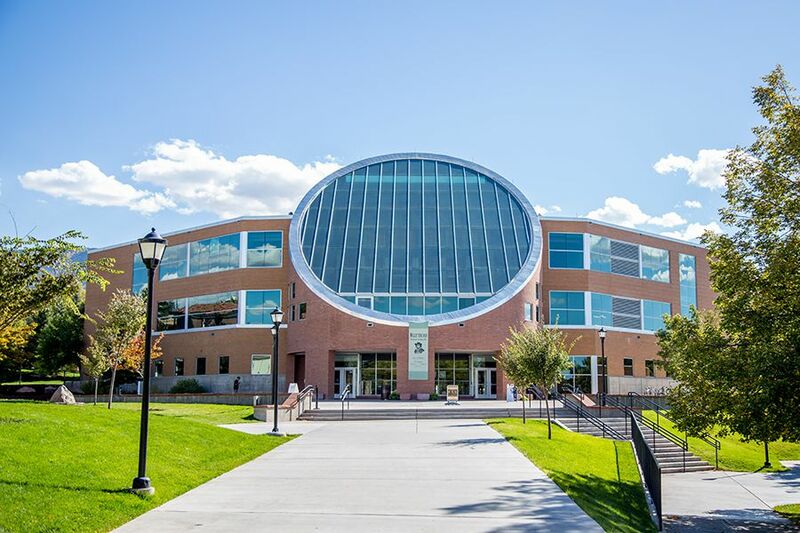 In the center of the building there is a 5,300 seat arena where men's and women's basketball teams play, women's gymnastics team competes, and many other school related and community events are held. 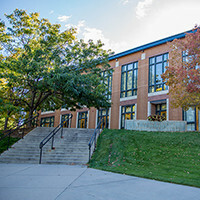 There are also six classrooms, five art studios, a photography darkroom, a television studio, psychology laboratories, computer labs, and several faculty offices. The Art, Communication, and Social Science departments are located in the Centrum.